Misting systems can help drop the outside air temperature by as much as 25 degrees Fahrenheit. The system sprays a mist of water into the air which evaporates and cools the air. The hotter and drier the climate, the better the system will work. 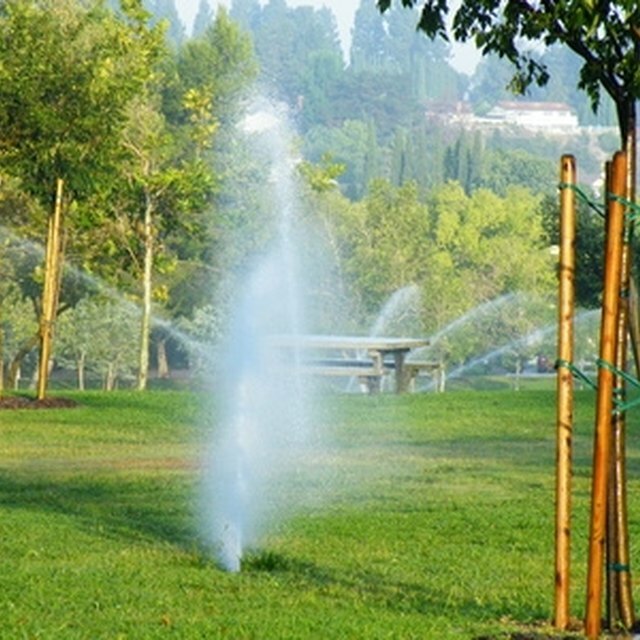 Systems are made up of nozzles placed in a tube that is connected to a water supply. While kits are available, there is not always one that fits your needs. It takes about a weekend to put in a custom system made of supplies from home improvement and hardware stores. Misting systems cool the air with evaporation. Measure the area where you want to install the system. You need to measure from the faucet, up the wall or patio support, across all openings, and down the other side, if misters will be present there. Add three feet to this measurement. This is the amount of tubing required. Attach the tubing to the house or patio supports with the plastic wire staples and the hammer. Do not hammer all the way in just yet. The tubing needs to move freely underneath the staples. Mark the locations you want the mist heads. Mist heads can be placed from 1 to 3 three feet apart. It all depends on personal preference for the amount of mist. Avoid pointing mist heads directly at windows or painted wooden surfaces, as water damage may happen. Cut the vinyl tubing with scissors at each location a mist head is needed. Install T connectors. Hammer the staples the rest of the way in to place, without crushing the tubing. Remove the excess tubing from the end of the system. Count the number of T junctions installed. Cut 1-inch of tubing from the excess piece for each T.
Attach a mist head to each 1-inch piece of tubing. Place the other end on to each T unit. Place a mist head at the end of the vinyl tube. You only need a head at this location, no T is required. Wrap the outdoor faucet threads with the Teflon tape. Slip the end of the vinyl tubing into the connector. There will be some resistance. This is a pressure-fit connector, meaning the pressure from the connector keeps the tubing in place. Attach the other end of the connector to the outdoor faucet. Turn on the water to test the system. Look for any leaks and mist heads that are working incorrectly. Adjust or replace any heads that are not working. Drain the misting system when not in use, especially during cold months. A hard freeze of the water in the lines could damage the system beyond repair.